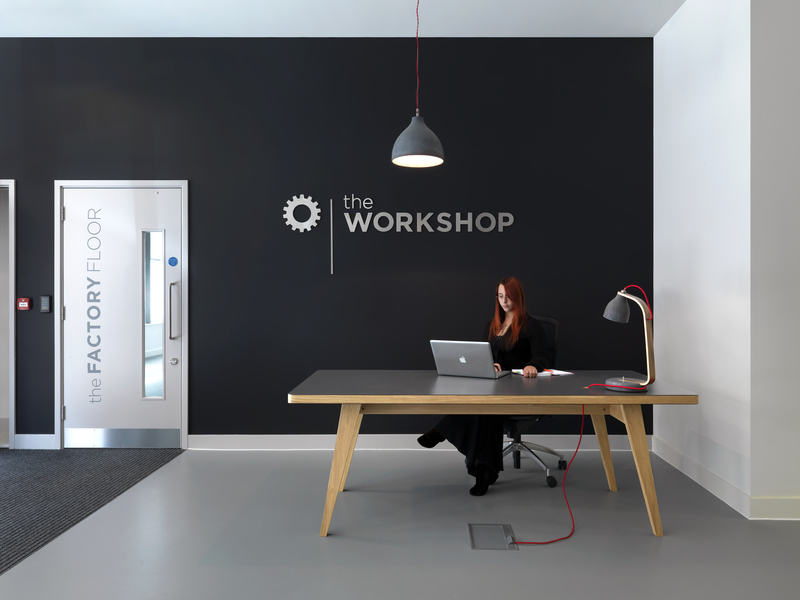 The Workshop is a commercial business centre first established in September 2013, with the aim of providing a unique business proposition for small businesses, freelancers and start-ups. Its core objective was to be more than just a place of work in Folkestone. With Folkestone now beginning to show signs of becoming a hub for entrepreneurship and creatives, naturally a demand for modern office space has increased and indeed for more flexible working. With the latest high street broadband connections and other added-value services facilities, The Workshop was therefore created to cater for exactly that need, based over five floors, totaling 15,000 sq/ft. The Workshop was developed further in 2014 with 13 more offices created and by the end of 2016 had c24 offices, all to cater for the growing demand in the wider Folkestone area specifically for ‘small to medium’ size offices, the most common requirement being for businesses with two to six people. Desk spaces are provided for sole traders, freelancers and start-ups. Meeting rooms and serviced facilities are all provided for, such as printing and superfast broadband. The energetic atmosphere enables individuals to meet other like-minded people and businesses with regular meetings and events available on a take it or leave it basis. What is more, The Workshop can have a space ready for a customer within 48 hours of the initial enquiry. Further business support is available at no extra cost for start-ups – from business planning and marketing to finance guidance, access to funding and incentives. Having this support has led to many jobs being created and economic growth adding much-needed vitality to the area. There has also been a high take up of Shepway District Council’s Apprenticeship Scheme; of the 116 people at The Workshop, 11 are apprentices. Additional services are now available including virtual offices for businesses that wish to utilize a high street address and postal facilities for a nominal price, enhancing a small business’ image. The Workshop continues to evolve and encourages individuals and businesses to explore whether this hub is the next step for them.